If you’re missing a single tooth, multiple teeth or all teeth, you’ve probably wondered what it would take to restore your oral health. 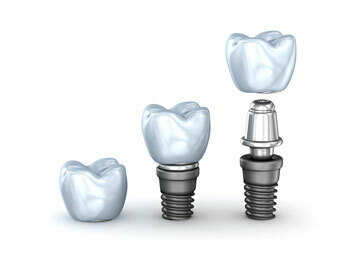 The look and function of your smile can be rejuvenated with dental implants available at Willeri Dental. A dental implant is an artificial root put into the jawbone to replace a missing root, which is then overlaid by a crown or a bridge. The greatest advantage of a dental implant is that it relies on the underlying jawbone for support and does not affect the adjacent teeth. If you’d like to learn more about whether this option is appropriate for you, contact our practice today. We’d be happy to discuss any questions you may have or get you booked for your first appointment.